Delightful, traditional freehouse pub in a very quiet rural location. 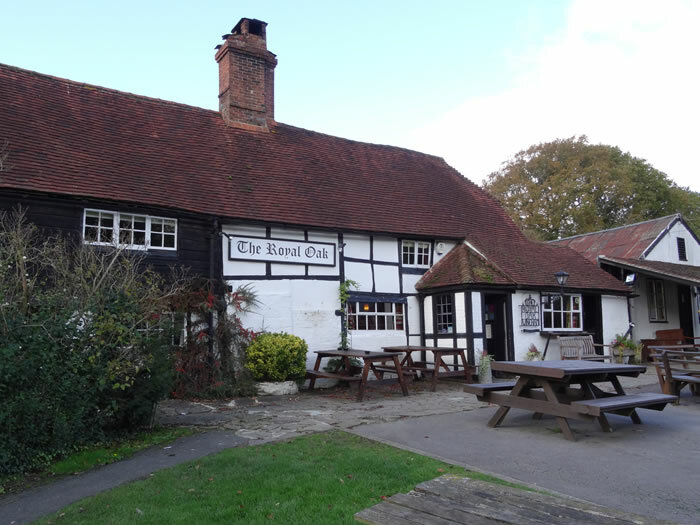 The Royal Oak is a black and white, timbered, 14th century building with brick floors, low beams and large fireplace. It has been a pub for 200 years and is full of character. Beers, for example from Harveys, Dark Star and Bedlam Brewery, are served straight from the cask. Peaceful setting and grassy garden at the front. This is one of my favourite pubs. Country lanes near Wineham and north towards Warninglid. Bridleways west of the pub between Kent Street and Shermanbury. Cycle to Partridge Green.